The #Internet is the #Browser. Consequently when the best browser experience becomes more inclusive because of the support for the languages the Wikimedia Foundation provides it is quite something. The Chrome browser is now able to support 62 languages with input tools. Supporting additional scripts starts with providing the Wikimedia Language engineers with another keyboard mapping. Once language communities find out that their language is supported as well, the use of this functionality will surely sky rocket. 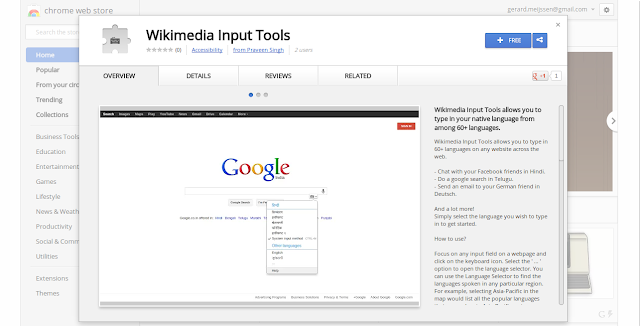 The Wikimedia Input Tools will enable more people to communicate on the Internet in their own language. It is an obvious precursor for the provision of knowledge in that language, that script.